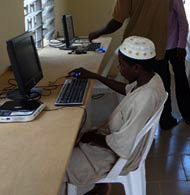 The commitment of the USPF to promoting ICT penetration in underserved and unserved areas is being further demonstrated through the ongoing construction and equipping of 26 Community Resource Centres (CRCs). 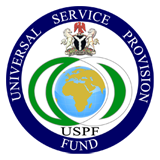 The USPF had previously provided subsidies in a Public Private Partnership model for Implementers to establish 192 Community Resource Centres across all the geopolitical zones. However, sequel to an impact assessment carried out at the expiration of the Strategic Management Plan (SMP) 2007 - 2011, the CRC was repackaged to become more sustainable and responsive to the ICT needs of the communities. Consequently, the 26 new CRCs will not operate from rented properties but purpose-built centres equipped with ICT tools and connectivity. In addition, we intend to create partnership with Community-based Organisations (CBOs) in the host communities to generate ICT-demand activities with the aim of ensuring the sustainability of the centres.